The Off-Highway industry is an earthmoving science. It has been in operation since the earliest recorded history of mankind. Even some of the most powerful and sophisticated modern equipment will not function without proper lubrication. Heavy-Duty Diesel Engine Oils represent the group of lubricants designed especially for trucks, commercial vehicles including buses and agricultural and heavy-industry machinery, such as that used in mining. Lubrita DEO (Diesel Engine Oils) are formulated to meet and exceed the performance requirements of many of today’s off-highway engines. It provides superior soot handling and acid neutralization capabilities, making it suitable for modern diesel engines. Lubrita DEO offers the perfect performance and protection for your equipment. Lubricating the interior of a heavy-duty engine properly requires more than just the creation of a protective oil film, as this is very important to reduce operating and maintenance costs. Lubrita heavy-duty diesel engine oils deliver fuel savings, offer protection for longer equipment life, improved efficiency through synthetic oil technology, and extended ODI (oil drain intervals). Lubrita lubricants protect driveline components against wear, acids and deposits. Heavy-Duty Engine Oils are developed for especially high performance to disperse soot and control sludge to extend your engine's life. The range of Heavy-Duty Engine Oils offered by Lubrita DEO lets you choose the oil that is best suited for your machinery, reducing maintenance costs and engine wear and prolonging service life. Heavy-duty diesel engine oil suitable for use in older, conventional (non-EGR) on and off-highway engines require monograde API CF performance. It is also particularly suited for older two-stroke engines which require low-ash chemistry. Lubrita offers wide range of mono-grades oils like Lubrita HDX SAE 30, 40, 50. Hydraulic oils, hydraulic lubricants and fluids consist of large group of mineral oil, water or water-based fluids used as the medium in hydraulic parts of machine equipment. These hydraulic fluids have a wide range of applications in hydraulic machinery, for moving loading shovels and other earth moving equipment, operating directional systems, power steering, braking and transmission systems for dumper trucks, excavator back hoes and industrial shredders and they have to operate under thousands of tons of pressure while ensuring high performance. 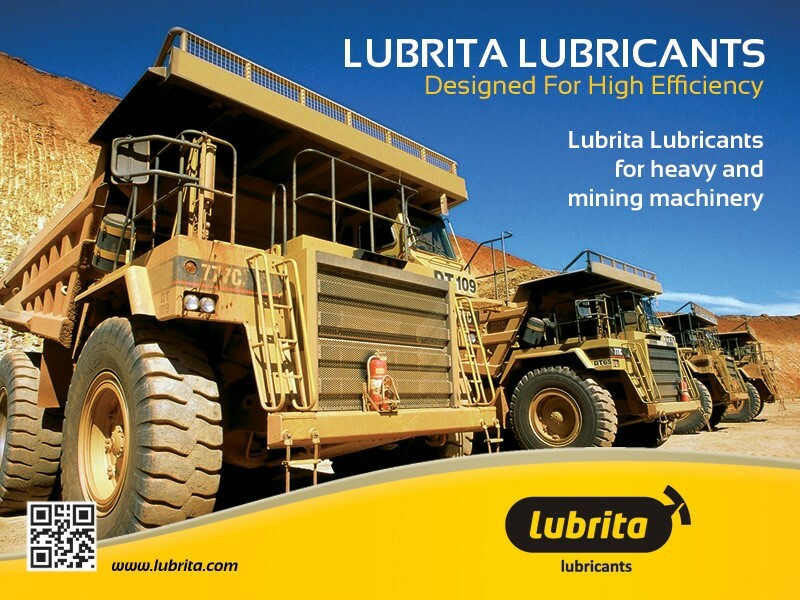 Lubrita hydraulic oils are engineered to resist thermal and oxidative breakdown, provide extended drain intervals, protect against equipment wear and also minimize sludge and varnish deposits for smoother hydraulic equipment performance. And these advantages reduce maintenance costs significantly. The hydraulic pump is the heart of any hydraulic system and our Hydroflow lubricant technology extends hydraulic pump life even under the severest operating conditions. Lubrita hydraulic oils help transmit power in the most effective way, ensuring reliable air release, filter-ability and cleanliness, with a choice that can help to optimize your system's efficiency and operating costs. To meet the challenges of a wide range of hydraulic equipment and applications, Lubrita International has designed a portfolio of fluids that enables you to choose hydraulic fluids to match your needs best. Lubrita's hydraulic oils, lubricants and fluids offer the very best quality and high-viscosity index.